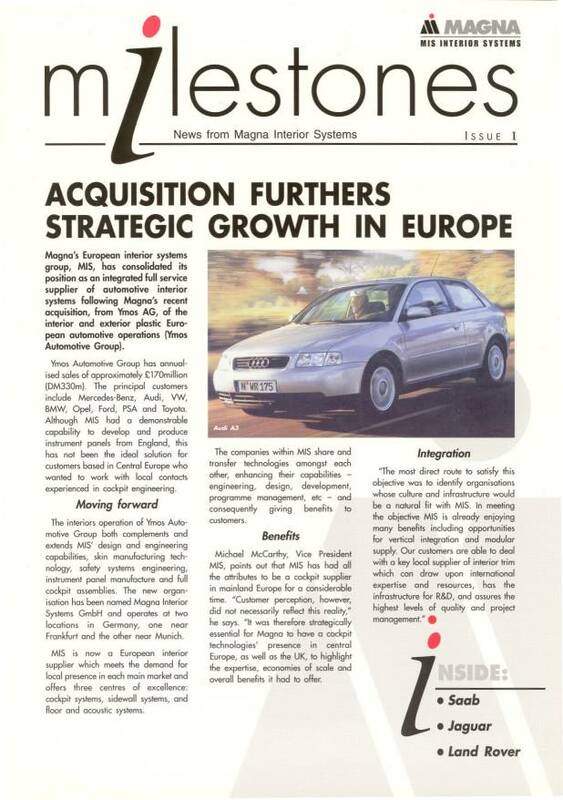 Magna Interior Systems (MIS) is a tier one supplier of instrument panels to the automotive industry. Customers include MG Rover, Saab, General Motors, Jaguar, Audi, BMW, and so on. 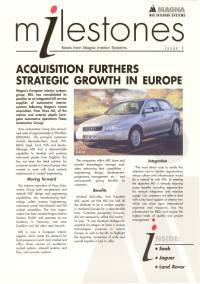 While MIS was known for its expertise in assembly, the company wanted a newsletter which would convey its engineering capabilities. This had to underline the fact that the company had input at the design stages of instrument panels in addition to assembling components to meet JIT contracts. Metropolis 2's creative team devised a series of mastheads and layouts which would score highly with the engineers at whom the newsletter would be targeted. The copy was to be technical & highlight the added value approach adopted by MIS. James Manning produced a diary matrix, working back from the proposed date of mailing the newsletters to MIS' existing and prospective customers. James set up a series of meetings and interviewed MIS' experts and drafted the articles. These were sent, with photographs, for approval and then laid out as draft newsletters which, once signed-off, went to print. Each issue had 2000 copies. The newsletters generated positive reactions and one landed on the desk of the President of General Motives, who, recognising a new facet of MIS, began negotiations. Recognition of MIS' expertise scored well with engineers externally and internal appreciation of the skill sets available was enhanced.